For a Starbucks Frappuccino, this looks incredible. 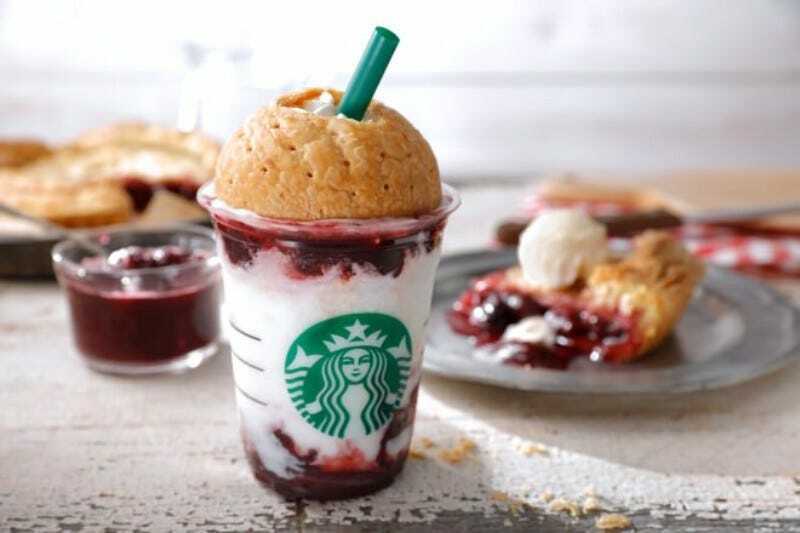 Sure there already are an apple pie as well and a blackberry cobbler Frappuccino on the secret menu, but this American Cherry Pie one is coming to the regular one in Japan. As you can see in this photo via Entabe, the lid is made out of crust. How cool is that? RBB Today reports that the American Cherry Pie Frappuccino goes on sale in Japan for a limited time only and will be available from April 13 to May 16.